Ideal for video production, studio work, mobile setups, and personal use, the Saramonic SR-SC5000 is a 3.5mm TRRS extension cable that gives you up to 16' of distance between 3.5mm jack-equipped devices. 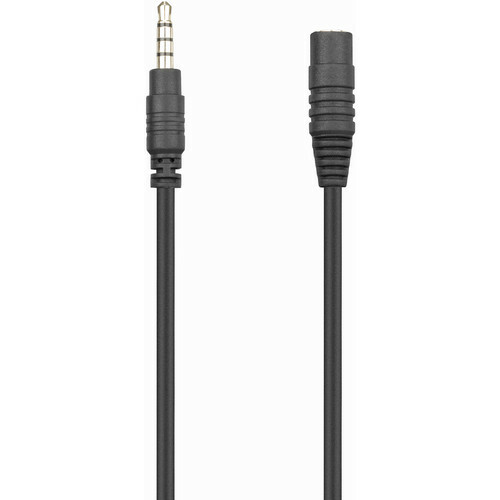 Since its 3.5mm TRRS female and male ends are compatible with TRRS and TRS plugs, you can use the extension cable with headphones, headsets, or microphones. The connectors are gold-plated to enhance conductivity and resist corrosion, contributing to the SR-SC5000's dependable quality. Keep the cable looking neat and avoid cord tangles with the included touch fastener cable wrap.